A manufacturing company was in search of a method for displaying shift assignment information (on multiple screens) for up to 300 temporary workers a day across 49 resources. After a rapid evaluation of several products, Noventri was chosen as the solution and it blew away many much more expensive solutions. A large manufacturing company (whose name must, unfortunately remain confidential) was in search of a solution for displaying shift assignment information (on multiple screens) for up to 300 temporary workers a day, across 49 resources. Before the implementation, shift assignments were carried out by departmental supervisors using Excel, but a shift change operation (or large job change) turned into a very large marshaling exercise. As data would be entered by several users per shift and over three shifts per day, minimal training was a key factor. Ideally, Excel would remain as the “data-entry” tool. Although SaaS solutions we not ruled out (several were evaluated), security was a concern. The Corporation undergoes rigorous security audits on a regular basis, so anything that connected to the outside world would be of concern. Keeping Excel as the source data would also involve either automating transfer of the file to, or reading it from, an external server. Initially, the idea of using a local SQL database was investigated; however, it was soon discounted as an application would have to be designed to allow users to enter and manipulate data, or Excel data would have to be imported on a regular basis. Even though the tools and skills were in place for this, it would have delayed the project and added needless complexity. Although a database was ruled out, SQL wasn’t. Using ODBC, any Excel sheet or cell range could be treated like an SQL table and queried using SQL. This list of candidate products suddenly expanded from those that could support Excel or delimited text files (such as CSV) to anything that supported SQL and ODBC. 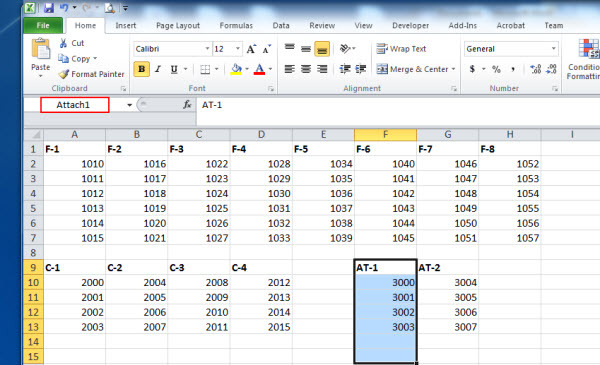 The screen shot below shows the requested Excel sheet layout for entering the (part of the) data. 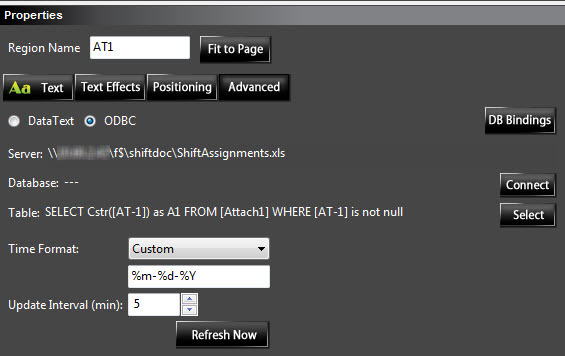 In the screenshot above, we can see the selected area (F9:F15) is a named range called “Attach1”. This is a resource that requires up to 6 staff. As named ranges are used, the Excel sheet layout can be changed without breaking the connection as long as entire ranges are moved. Makes every other signage project an IT project. The chances of rolling out digital signage to many other areas of the business are much higher when the IT department’s involvement is limited to providing the hardware and network. If it’s simple enough for end users to use, they’ll experiment. The screen shot below shows this in the Noventri user interface. Clicking the connect button allows the user to connect to the required data source: in this case, browse to the Excel file. The refresh interval can also be set. In the above example, the Excel files is queried every five minutes. 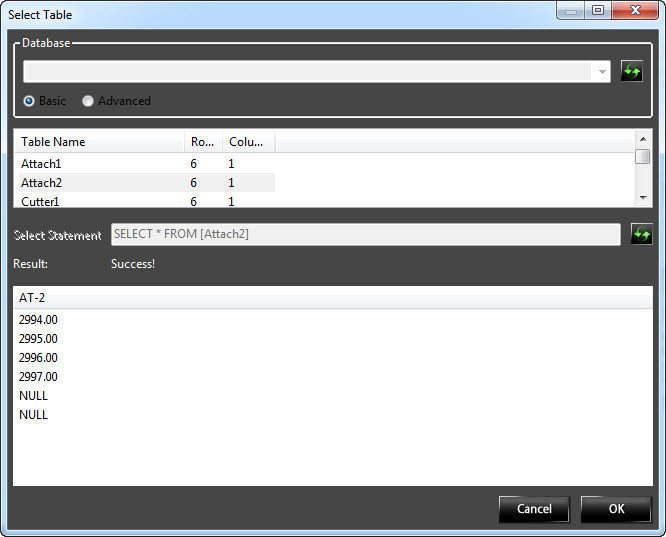 The select button allows the user to select a table or enter an SQL statement. In the screenshot below, the named ranges appear as tables and the user simply selects the table where the source data is located. Ultimately, three pages were designed that covered three departmental groups. The source data was split among three Excel spread sheets and the supervisors simply edit the file and copy it to a mapped network drive. The updated information will be displayed on the sign no longer than five minutes after a new version is copied. The sequence for the initial roll-out of this application was very simple: display each of the three screens for 15 seconds. Like the sequence, the schedule is initially very simple: play the same sequence 24/7. In the future, the shift assignments will be display 30 minutes either side of shift change and job performance information (from the ERP system) will be displayed during the shift. The hardware used for the project was a Noventri SF-100e player connected via 100BaseT. The display selected was a commercial grade Samsung 46” LCD (460UX-3) connect via HDMI. 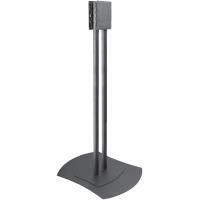 A Peerless freestanding display mount (FPZ-600) was used to mount the test installation. Ultimately the monitors will be suspended from the ceiling. Most of the software is free. Unless you’re looking for high-end integration/metrics, there’s a free software package (or low-cost SaaS service for many players). SaaS falls down quickly in areas where dynamic data is not available in XML format. Further players have been ordered for additional screens in the manufacturing plant, and another player has been ordered to replace a PC and PowerPoint slide show in reception. Currently, the receptionist updates this every day with visitors and current weather. I future, visitor will listed in an Excel file (or possibly retrieved from Outlook) and the weather will be populated automatically from an RSS feed. With the software being so easy to use and central management of the players, many other projects will follow. At the start of the project, the client envisaged a several thousand dollar software/player combination. They were amazed at how much was possible with such a small, low power (3W), inexpensive ($599) player. Bang for the buck with Noventri was amazing. Several much higher end products were evaluated and didn’t come close to Noventri, especially when considering the amount of integration that would have been required and the total cost of ownership. The cost of entry and skill level required to enter into digital signage is within the grasp of any business (big or small). 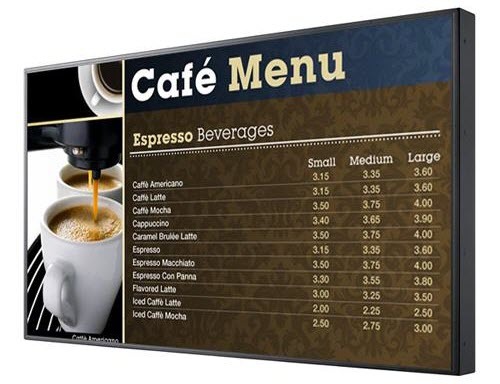 Being so inexpensive and easy to use will make digital signage much more pervasive, which, at the end of the day, is what everyone wants: better, more focused communication.